See also Anti-Infectives. Action/Kinetics: A semisynthetic antibiotic that suppresses protein synthesis by microorganism by binding to ribosomes (50S subunit) and preventing peptide bond formation. Is both bacteriostatic and bactericidal. Peak serum concentration: PO, 4 mcg/mL after 300 mg; IM, 4.9 mcg/mL after 300 mg; IV, 14.7 mcg/mL after 300 mg. tV2: 2.4-3 hr. In serious infections the rate of IV administration is adjusted to maintain appropriate serum drug concentrations: 4-6 mcg/mL. Uses: Should not be used for trivial infections. Systemic. Serious respiratory tract infections (e.g., empyema, lung abscess, pneumonia) caused by staphylococci, streptococci, and pneumococci. Serious skin and soft tissue infections, septicemia, intraabdominal infections, pelvic inflammatory disease, female genital tract infections. May be the drug of choice for Bacteroides fragilis. In combination with aminoglycosides for mixed aerobic and anaerobic bacterial infections. Staphylococci-induced acute hematogenous osteomyelitis. Adjunct to surgery for chronic bone/joint infections. Bacterial endocarditis prophylaxis. Non-FDA Approved Uses: Alternative to sulfona-mides in combination with pyri-methamine in the acute treatment of CNS toxoplasmosis in AIDS clients. In combination with primaquine to treat Pneumocystis carinii pneumonia. Chlamydial infections in women. Bacterial vaginosis due to Gardnerella vaginalis. Topical Use. Used topically for inflammatory acne vulgar-is. Vaginally to treat bacterial vagino-sis. 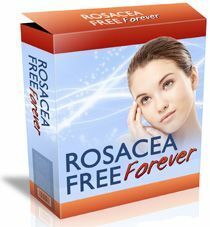 Non-FDA Approved Uses: Treatment of rosacea (lotion used). Contraindications: Hypersensitiv-ity to either clindamycin or lincomycin. Use in treating viral and minor bacterial infections or in clients with a history of regional enteritis, ulcera-tive colitis, or antibiotic-associated colitis. Lactation. Special Concerns: Use with caution in infants up to 1 month of age, in clients with GI disease, liver or renal disease, or a history of allergy or asthma. Safety and efficacy of topical products have not been established in children less than 12 years of age. Side Effects: Oral: Candidiasis. GI: N&V, diarrhea, bloody diarrhea, abdominal pain, GI disturbances, te-nesmus, flatulence, bloating, anorexia, weight loss, esophagitis. Nonspecific colitis, pseudomembranous colitis (may be severe). Allergic: Morbilliform rash (most common). Also, maculopapular rash, urticaria, pruritus, fever, hypotension. Rarely, polyarteritis, anaphylaxis, erythema multiforme. Hematologic: Leukope-nia, neutropenia, eosinophilia, thrombocytopenia, agranulocytosis. Miscellaneous: Superinfection. Also sore throat, fatigue, urinary frequency, headache. Following IV use: Thrombophlebitis, erythema, pain, swelling. Following IM use: Pain, induration, sterile abscesses. Following topical use: Erythema, irritation, dryness, peeling, itching, burning, oiliness of skin. 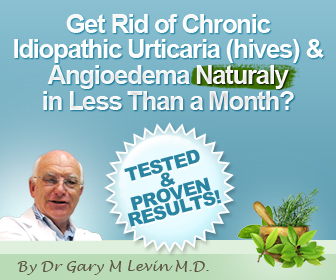 Following vaginal use: Cervicitis, vaginitis, vulvar irritation, urticaria, rash. Adults: Clindamycin HCl, Clin-damycin palmitate HCl: 150-450 mg q 6 hr, depending on severity of infection. Pediatric: Clindamycin HCl hydrate: 8-20 mg/kg/day divided into three to four equal doses; clindamycin palmitate HCl: 8-25 mg/kg/day divided into three to four equal doses. Children less than 10 kg: Minimum recommended dose is 37.5 mg t.i.d. 0.6-2.7 g/day in two to four equal doses depending on severity of infection. 15-40 mg/kg/day in three to four equal doses depending on severity of infections. Severe infections. No less than 300 mg/day, regardless of body weight. IV: 600 mg q.i.d. plus gentamicin, 2 mg/kg IV; then, gentamicin, 1.5 mg/kg t.i.d. IV. IV therapy should be continued for 2 days after client improves. The 10-14-day treatment cycle should be completed using clin-damycin, PO: 450 mg q.i.d. Apply thin film b.i.d. to affected areas. One or more pledgets may also be used. One applicatorful (containing about 100 mg clindamycin phosphate), preferably at bedtime, for 7 consecutive days. Bacterial endocarditis prophylaxis. Adult: 600 mg 1 hr prior to procedure. Children: 20 mg/kg of body weight 1 hr prior to procedure not to exceed adult dose. IV dose form for patients who cannot take oral medications.